I love lists! I'm jealous that Trader Joe gets to be on a day-to-day list. 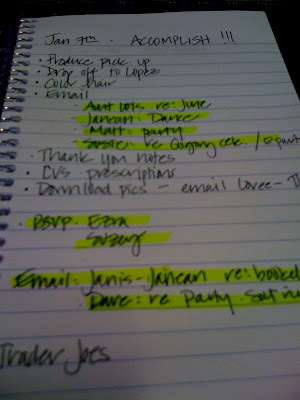 We're about to make a trip for a long weekend and I'm working on my stock-up-at-TJ's list this afternoon. Microsoft has Office 2010 Professional to remove from the subscription site to MSDN,TechNet, Expression.Microsoft sentenced to stop sales of Word and Microsoft office 2007. Really don't know if I should go to express mood now. Hope that your blog will be better and better. Come on, support you.